Born and raised in Queens NY, Kitami fell in love with music at a very young age. 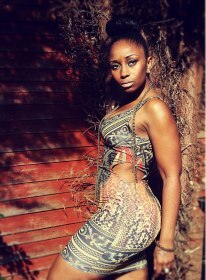 Inspired by her Jamaican and British roots, she wrote her first song entitled “Time” At age 5. At age 9, she founded “Paradyce”, an all girl R&B group that toured the US, UK, and appeared at the Apollo. Artists such as Sade, Bob Marley, Nas, etc. fueled Kitami’s focus to become a songwriter. Becoming a solo artist was never really a dream of her’s, but she quickly got used to the idea when she realized the freedom she had creatively and she began exploring wider horizons with her writing and in her performances. Never losing the inspiration given to her by artists such as Lauren Hill and Jill Scott, Kitami promised herself that she would always stay true to her roots, sing from the heart, and never apologize in the process. Life without music was definitely not an option. She formed her own four-piece band and began making appearances all over the New York City area. She then teamed up with a young up and coming local producer by the name of “Touch Tone” who introduced her to his friend, the super-talented producer “Mike Mayhem”. With the great engineering skills from her peer/friend Kay’vion, the four worked to create her EP, THE FUNERAL “Laying Love to rest”, with a full-length CD coming soon. The videos for the hit singles “Shady” and “Love My Love” are available on YouTube. It’s a new day and she is ready to take on the world with a fresh new sound. She is extremely passionate about her music; she goes hard and always gives more than 100%! Her work speaks for itself and her thrilling live performances are not to be missed. 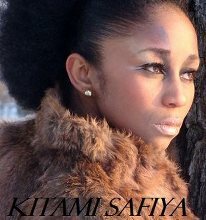 Look out for Kitami Safiya. You will soon be able to catch a live show all around NYC and in the UK…. HERE SHE COMES! !